Surveys show that Russia's regional centers are more business-friendly than the capital - are investors interested? Moscow is the most inconvenient city in Russia for doing business, according to a survey done by Ernst&Young and the New Economic School. Experts agree that the strong penchant towards Moscow, established in the 1990s, when the city was the Russia’s only business center, is gradually becoming obsolete. The survey found that the most attractive region for business is Tatarstan while St. Petersburg and the Irkutsk, Kaluga, Perm and Tomsk regions are also business-friendly. The survey was conducted between August and November 2010 and included responses from 1,000 businesses based in 10 administrative regions participating. According to respondents, the biggest issue facing businessmen in Moscow is difficult access to funding (31 percent), followed by high taxes (24 percent) and insufficient training of personnel (22 percent). Even in progressive Tatarstan entrepreneurs have some of the same complaints. They are concerned about taxes (46 percent), staff (18 percent) and access to funding (11 percent). This is not the first time that Moscow has been recognized as an inconvenient city for doing business. 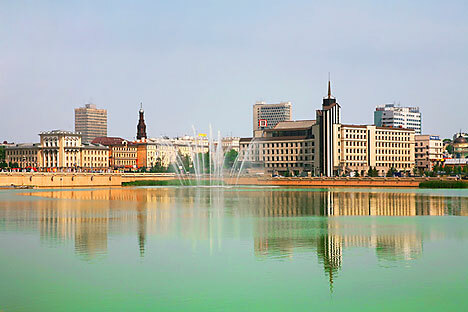 In 2009, a World Bank survey on doing business in Russia using a similar approach also found the Tatarstan capital of Kazan a better place for entrepreneurs than Moscow. Kazan came in first out of 10 regional centers while Moscow ranked last. That survey highlighted Kazan’s low costs for establishing a business along with the ease in registering property and obtaining planning permissions. “We have proof of something that we could sense as it is,” said Anton Struchenevsky, an analyst at Troika Dialogue. In Tatarstan, the region’s industrial heritage successfully goes hand in hand with the local authorities’ leadership approach. “This means various technology parks and clusters. There has been a guarantee fund set up in Tatarstan and a business incubator was established there long before the Moscow region had one. They take part in all tender investment projects that are closely monitored by the central government, due to being funded by both the federal and the local governments, and therefore have to be as transparent as possible; this is something the Tatarstan authorities have never been afraid of,” said Korochkin. “But for the moment, rather than being done where it is comfortable, business is done where it is profitable. At this point in time, Moscow offers the highest consumer demand. The situation is the same with foreign investors who realize that Russia is not all peaches and cream but come here for higher profits,” said Korochkin. “It all goes back to the 1990s when all business was centred in Moscow,” said Struchenevsky. Then things started changing. In the past 10 years, the standard of living in the regions has started to improve and is gradually catching up to Moscow’s. And considering that the cost of living is much higher in Moscow, it is entirely possible that people will start preferring to earn their money in Moscow, but live in the regions. With time, businesses may relocate similarly. “Moscow is already losing industrial facilities while remaining an administrative center,” said Struchenevsky.